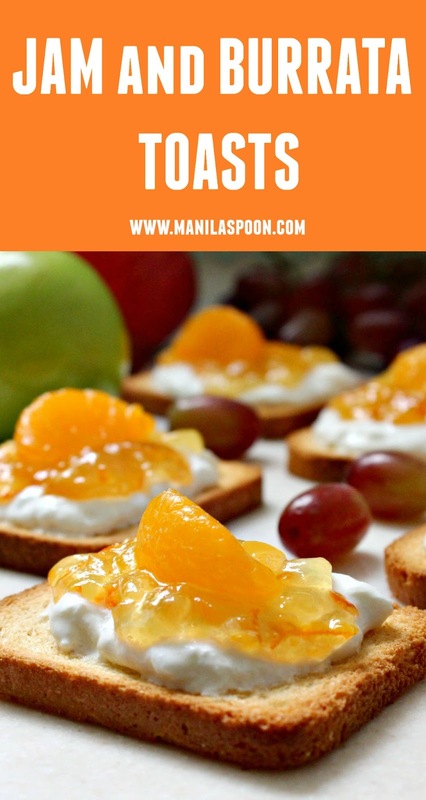 Just 3 ingredients and can be customized to your taste, these easy, quick and yummy Jam and Burrata Toasts are the perfect appetizers for Thanksgiving, Christmas, New Year or any holiday! When fall season commences, there’s a sudden anticipation of the holidays. After all, truly, they’re just around the corner. In the Philippines, while we don’t really have fall or winter, once the month of September comes – the holiday season begins! I am not kidding. In the Philippines, when the month of September arrives, the Christmas season practically begins, too. From hereon, Christmas songs can be heard being played in radio stations and in the malls. Christmas bazaars become popular and everyone begins their Christmas shopping! Everyone gets excited! Perhaps because apart from the much anticipated Christmas Day, we don’t have Thanksgiving Day nor do we consider Halloween a big deal. We celebrate All Saint’s Day, instead. With no major holidays before Christmas it becomes the main focus of any celebration. So there’s always a big build-up for Christmas in my beloved nation. And because we are predominantly a Catholic country, our Christmas celebration begins on the 16th of December when Catholics wake up at 4 am everyday to attend a 5 am mass which daily goes on until the 24th of December. The celebration ends on January 6 also known as Three Kings’ Day which commemorates the visit of the three wise men. Yes, we do love Christmas, indeed! All these thoughts of the coming holidays made me think of this very easy and simple appetizer recipe. 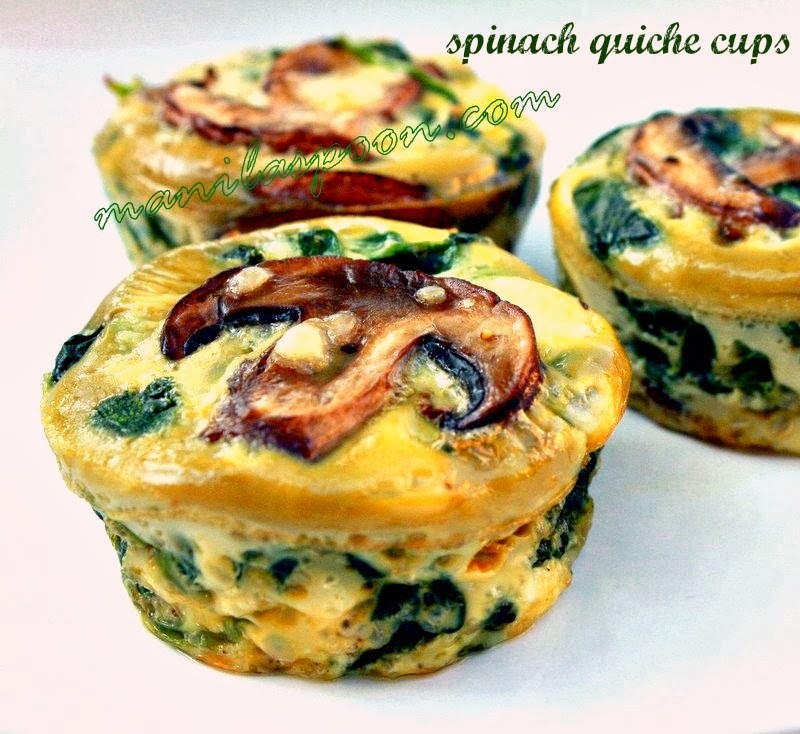 So simple, you don’t even need to make any preparation ahead of time! In fact, you can simply ask your guests to make it themselves and you can certainly give them different options as well. It is essentially just 3 ingredients – the super creamy and yummy Burrata cheese (a fresh Italian cheese made from mozarella and cream), your favorite jam and homemade or store-bought Melba toast or crostini. 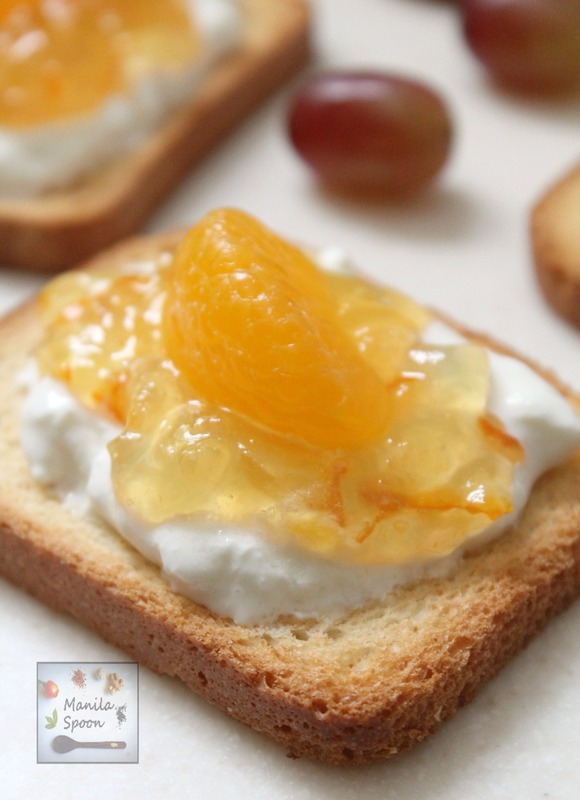 All you need to do is generously spread the toast or crostini with burrata, then top it with your favorite jam and, if desired, garnish it with the fruit the jam is made from. I tell you, it is so good and quite addictive! With all the holiday parties and busyness of the season, this quick and delicious appetizer will surely be the perfect option for any host or hostess! Enjoy! 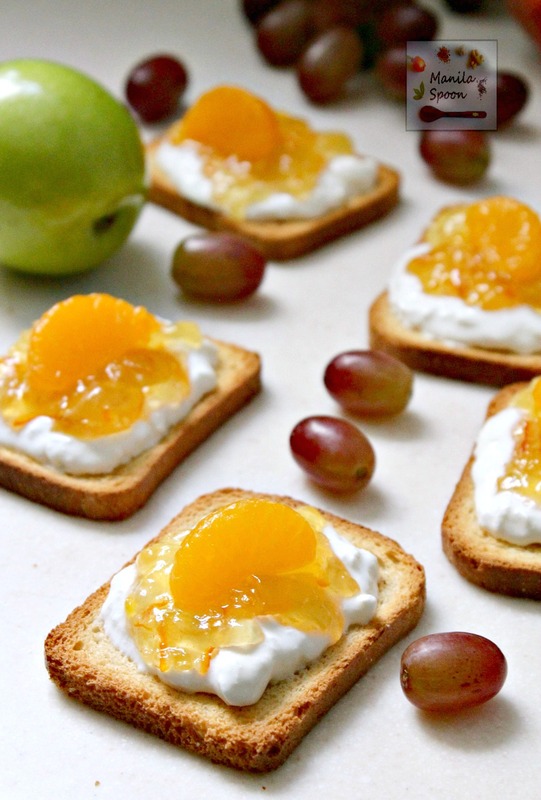 Generously spread each toast with the Burrata cheese. The amount would depend on the size of your toast. Spoon some jam or marmalade on top. Garnish with some fruits on top, preferably the fruit from which the jam or marmalade is made of. Serve immediately.